I have been around cloth diapers my entire life. As a child, my mother used cloth diapers on me. Can you picture it- prefolds and pins and plastic pants? I always wanted a big family, but diapers are so expensive! When I was a young adult, a friend was diapering her new baby and was using prefold diapers and diaper covers. This was a far cry from the plastic pants of my youth. Having no younger siblings, my only experience with diapers was with babysitting. All of the families I worked for exclusively used disposable diapers. I had never even considered using cloth diapers before that day with my friend. It looked, to me, just as easy as disposable diapers. This was, obviously, so much more affordable and not the cloth diapers of my youth! 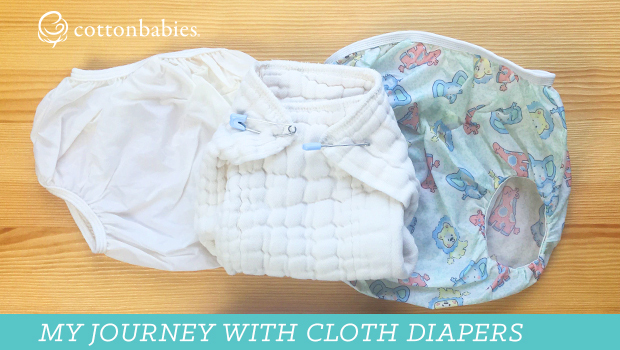 When I became a mom and had children in diapers, I did a combination of cloth and disposables. My oldest is now 23 years old. I always preferred cloth diapers. We mostly used disposable diapers at night because I couldn’t find a nighttime solution that worked for us to have a dry bed. To me, even fresh out of the box, disposable diapers smelled so perfumey and gross, like it was full of chemicals! I started cloth diapering with prefolds and diaper covers with Velcro. 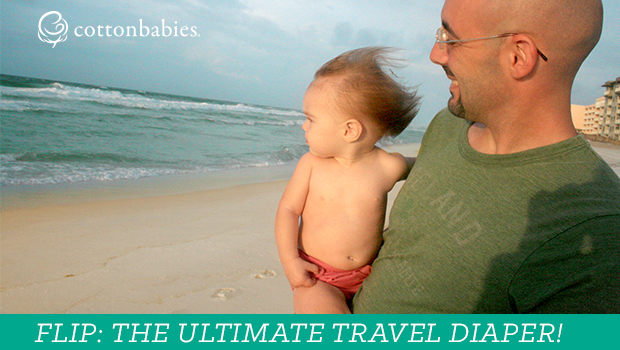 There is nothing like taking a stack of freshly cleaned and dried diapers from the dryer or from the clothesline. By baby number six, my friend had this neat, new cloth diaper business called Cotton Babies and they made and sold their own diapers. This was my first experience with BumGenius and pocket diapers. I found them even easier than prefolds and diaper covers! When I had multiple babies in diapers, it was always easiest to just do cloth. There was no need for multiple sizes of diapers, I would just adjust the fold for the baby. There was never a worry of running out of diapers. If I was having a hard time getting to the store because of lots of littles, I always had diapers. If there was a snowstorm, I always had diapers. If the budget was extra tight this month- I always had diapers. I was already doing laundry daily (we have quite a laundry schedule as you might imagine with 9 people in the house!) so doing one more load, every couple of days, was never a big deal. When I started working at Cotton Babies, I learned about the wonders of hemp. I’m intrigued by its ability to absorb so much. I wish I had known about its incredible abilities when I did use cloth diapers. Maybe I could have eliminated using disposable diapers completely? I’m excited about all of the new cloth diapering products that are available now that were not available when I was diapering my children. The Elemental Joy kit is brilliant! I love the idea of a family going to buy disposable diapers and seeing reusable, easy to use cloth diapers. My journey started as a cloth diapered baby. Then, I was a cloth diapering mama. Now, I work for the bestselling maker of cloth diapers in the world and I get to help new parents learn how easy and affordable it can be to use cloth diapers for their own families. My youngest is 11 years old now, so cloth diapering is not part of our lives at home anymore. However, I do buy a diaper cover for every baby shower I go to. The beauty of a diaper cover is the gathered elastic at the back that holds in that baby poo. So even if mamas intend to use disposable diapers, I always give them the gift of a Flip diaper cover to use when they don’t want the baby to soil their whole outfit (and mamas outfit, too, for that matter). For me, that would be all day, every day, but at least they have it available. And you never know when they use it and think- Hmmm… maybe cloth diapering wouldn’t be so hard? Natalie Ortwerth Natalie is a mother to 6 children, all of whom she cloth diapered. She loves all weather, but especially thunderstorms and fog. A perfect day would be foggy outside, a fire in the fireplace and the family gathered around eating popcorn and watching Jeopardy. Natalie and her husband live with their 6 children in St. Louis Mo. She has worked at Cotton Babies since 2018.